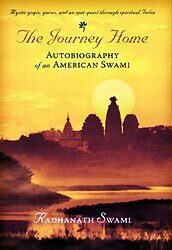 An entire chapter in The Journey Home describes Richard’s struggle at the Indian immigration. It had taken him six long months to hitchhike across Europe and the Middle East to reach there. And now, with the denial of entry into the land of his dreams, India, would all of his efforts go in vain? Shaken, I walked back some distance along the road behind me and sat in the shade of a large neem tree. As I gazed out across the flat green Punjabi countryside, my mind reeled. Where to go? What to do? 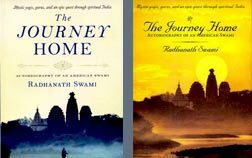 Richard, now Radhanath Swami, didn’t turn back; he was determined to push ahead and he finally got through. This determination to never give up despite heaving obstacles has been the constant theme of Radhanath Swami’s life. Focusing on the negative side of things weakens that determination, and so Radhanath Swami never sees the negative, he is always positive. Those who head Radhanath Swami’s various welfare projects get to work closely with him; and they too evolve, in time, to a state of seeing everything in a positive light. But how does that happen, practically? It all begins when you face Radhanath Swami to report about your project’s progress. You love him, you want to please him. And if you are sensitive enough, you quickly grasp—and even if you aren’t, it won’t take you too long before you understand—that reporting of any negative development in a negative light displeases him. Although he doesn’t openly express his displeasure, that subtle feeling that you displeased him nonetheless gets transmitted across to you, almost magically. Inevitably, you are confronted with a mammoth task: to report unpalatable stuff, sometimes tons of them, in a positive light! It’s a massive strain, and it all seems an artificial exercise at first. After all, you wonder, why not call a spade a spade? 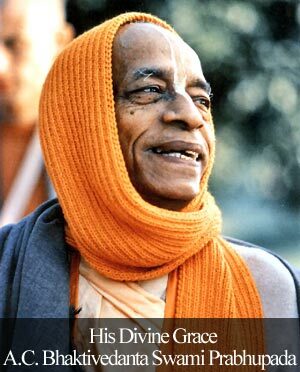 Still, you take on the ordeal, fearful that you’ll displease your beloved Swami. And finally, you somehow manage to get things right—everything reported in a positive perspective. With time however, after a few such reporting, you find that it’s getting more and more natural to do that. And before you realize, you even begin to see things, people and events, in the same way—everything positive. With the Swami’s help, a sacred treasure is thus unearthed. Being positive not only helps us, it’s a great service as well. Recently, one of my friends posted on Facebook, “Reading news is depressing.” Negative energy surrounds us on all sides. In that darkness, even a candle light, one person with a positive outlook to life, can surcharge the ambience with hope. Isn’t that service? The ultimate secret of that positivity lays in seeing the merciful hand of God acting through everyone around and through every aspect of life. Wonderfully inspiring post. No doubt that keeping a positive attitude helps a lot in having positive outcomes. I specially liked the impact of this in interactions of followers of HH Radhanath Swami have on the outcome.